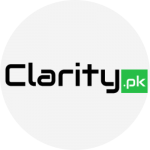 Level 09, Arfa Software Technology Park, 346 – B, Ferozepur Road, Lahore. Launched in 2012, Plan 9 is an incubator with a vision to instill the culture of tech entrepreneurship and achieve sustainable growth. It aims to provide early stage product-based ideas with domain specific mentorship and investment opportunities in order to create commercially viable technology startups from Pakistan. After almost 4.5 years Plan 9 has become way more than just an incubator. Plan 9 defines it’s place in the country today, in its own words, as an eco-system for technological innovation and entrepreneurship along the lines of the Silicon Valley, with impact all over Pakistan. Ever since its launch, Plan9 has successfully incubated 130+ startups. This is a project of Information Technology board of Punjab (PITB) and is the pioneer of tech incubators in Pakistan. It was launched on the mission of providing an opportunity to the rising entrepreneurs of Pakistan to fulfill dreams of owning their own businesses with the help of up to date Technology. Financial funding is not offered by Plan9 to the startups, instead they create channels of prospective financing for their inducted startups. As an inducted startup, you get the chance to seek angel investment by pitching your idea to Plan9 Angel Investors Club. Plan9 also connects you to other potential investors. Plan9 has mentored 130+ technology startups. Some of them are listed below. Each incubation cycle is of six months. Applications for incubation are opened one month prior to the start of the incubation cycle. Applications for 10th LaunchPad are open now until 20th June. ABOVE 18 years in age to be eligible to apply (All the team members ). Be a team of applicants applying with one idea. Startups need to have an idea which is tech dependent and should be a product-based business idea. Startup should be able to present a mockup/wireframe/prototype of the product. Plan9 is based in, Lahore. This is a national level initiative so teams from around the country are encouraged to participate. Relocation is not provided by Plan9. Startups/founders who are currently incubated at Plan9 will not be entertained for the upcoming cycle (Cycle9). However, those applicants can apply for Cycle 10. Founder should solely be committed to the inducted startup at plan9 from 9a.m. to 5 p.m. and should not be employed elsewhere.